Lawn care companies are a dime a dozen in many parts of the country. They come in all forms from dilapidated trucks with unsafe trailers and old, unreliable equipment, to shiny new trucks with flashy logos, sparkling new equipment and professional looking workers—and everything in between. Just as the beat up old equipment might provide great service, the brand new, professional looking company may be amateurs with no real skill. So how do you tell the good from the bad and make the right choice? It's not easy but there are some questions to ask and things to look out for. The old adage is largely true but there are exceptions to every rule. While it may hurt your pocketbook to hire the more expensive company, it might be worth it. Look into the services they are providing and carefully examine each lawn program. If you want to do your own fertilizing, that should be fine. If you want to opt out of certain treatments, that too should be fine. A good lawn care company should provide their services a la carte as well as in packages. However, high prices don't always mean quality service. Are there any agronomists on staff? What is the background of the owners and supervisors? Lots of lawn care companies are started by honest folks who don't really know what they're doing. A lawn care company that provides fertilizer applications and pest control should have at least one person with some turf or agronomy education. A lawn care company should be upfront and open about their education, licensing, what products they are using, and when they are applying it. They should provide a copy of the label and adhere to all local and state laws with regards to pesticide applications. The most common lawn care companies are the mow and go crews. They swoop into the yard two or three at a time, string trimming, mowing, and blowing the walks in very little time, usually for a good price. Sometimes they offer fertilization and grub control, but again, be sure of their credentials. The mow and go outfits are great for spring clean-ups, mulching and leaf removal in the fall. When choosing a mow and go company, try to balance price with professional appearance and work. The employees should be clean and polite, and the truck and equipment should be clean and relatively new. There are some big names in the lawn care business. Their trucks roam the neighborhoods throughout the year providing applications of herbicide, fertilizer and other pesticides. Laws differ from state to state (Canada has even banned certain herbicides) but when chemicals are applied it should be done by a licensed professional. Some areas require prior notification, signage on the lawn, or even a personal notification. The big name companies tend to lack the personal touch that a local lawn service might provide and some do not have the homeowner's best interests in mind. 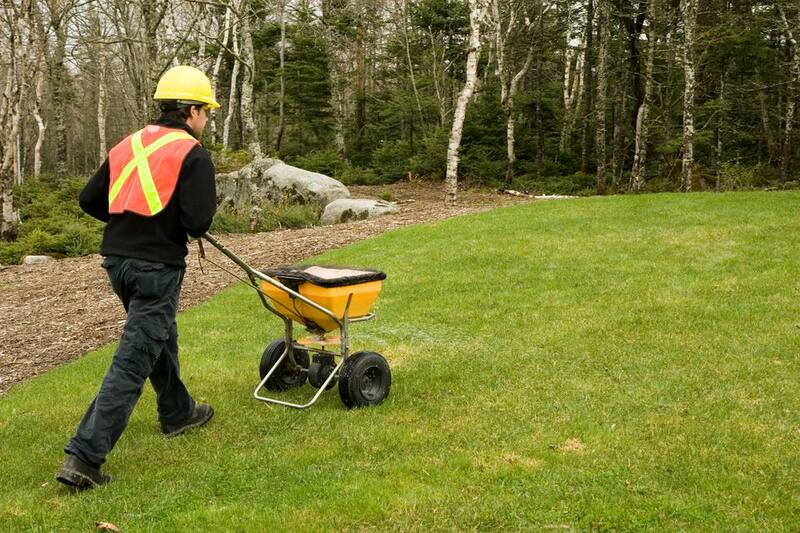 Some lawn care services provide up to 8 applications of fertilizer or pesticides per season. That's excessive and more than likely expensive or even unnecessary. The devil is in the details, a little knowledge of a simple lawn care program will go a long way towards not being taken advantage of. A great new market for lawn care companies to get into is organics. The problem is, many lawn care companies have no idea what organic lawn care is all about. A company offering organic services should preferably be exclusively organic. If not, they need to have a strict separation between their conventional equipment and organic equipment to avoid cross-contamination. It's easy to claim to be organic, but there are standards that should be followed to maintain the integrity of the claim. Look for an organic lawn care company to carry some sort of certification or accreditation proving they have had some formal training. As a customer, be on the lookout for greenwashing. Phrases like "organic-based" or "green" do not mean organic. Like any other service or item where a significant amount of money is spent, it is important to do a bit of research. Look for online reviews, ask neighbors, and ask the company themselves—asking the right questions will demonstrate some knowledge and help you get the most for your money.